Part of our itinerary was spending a day in museums. 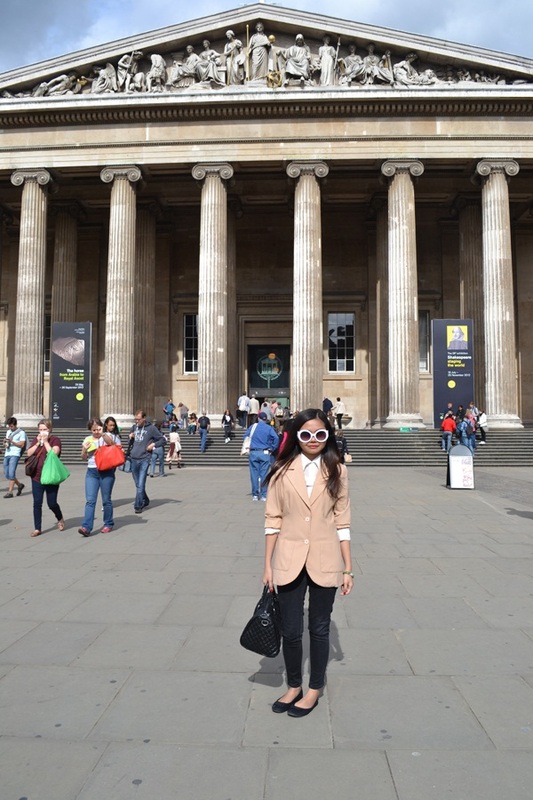 London has many to offer but we chose to visit two of the best, The British Museum and The Victoria and Albert Museum. 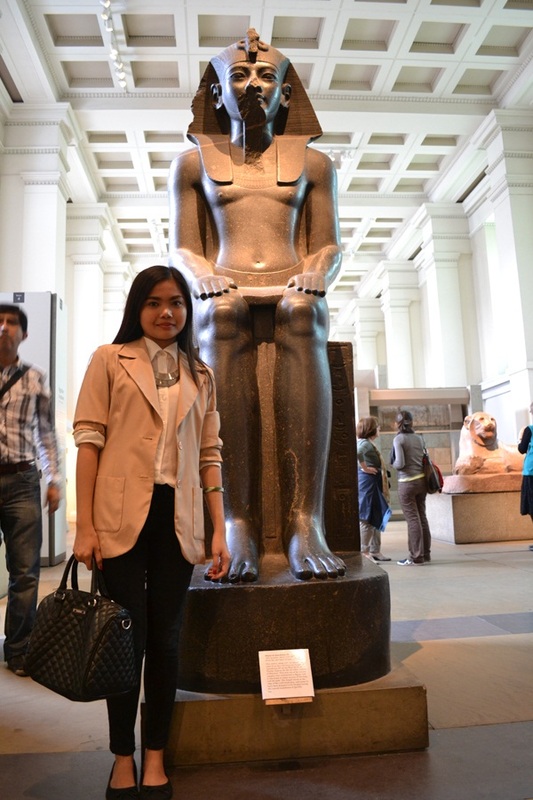 First stop was The British Museum. 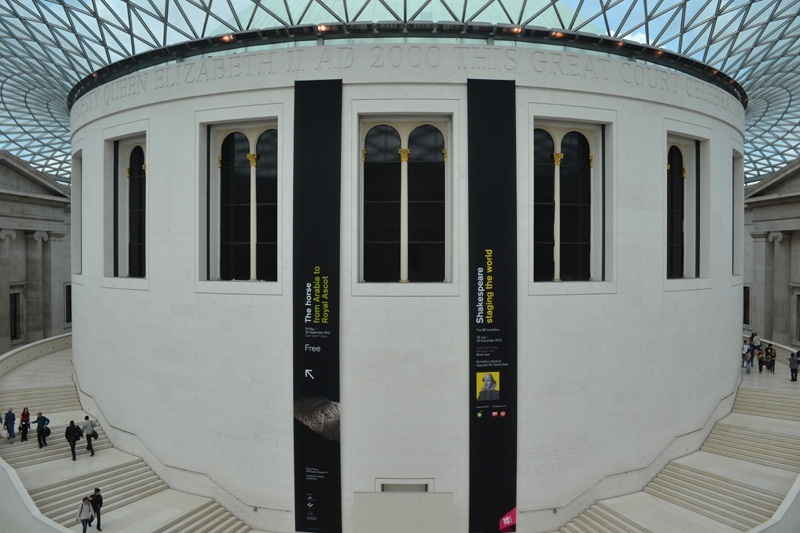 The Rosetta Stone is one of the museum's highlights and was integral in deciphering Egyptian Hieroglyphics. Some of the most important pieces on display here are Ancient Egyptian antiquities. 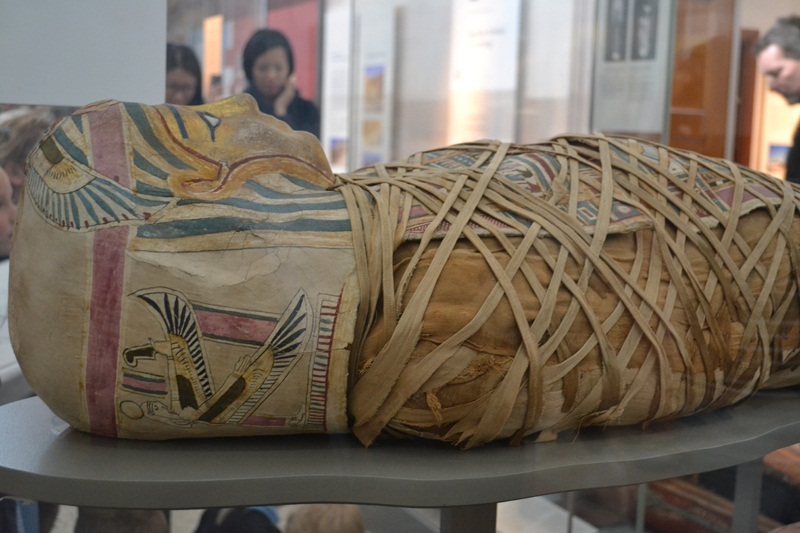 Their galleries are full of sarcophagi, hieroglyphic wall inscriptions and mummies. I've always been fascinated with Ancient Egyptian civilization and seeing these relics up close and personal was a real thrill for me. Some of these pieces were brought back by Howard Carter, the archaeologist who discovered Tutankhamun's tomb. 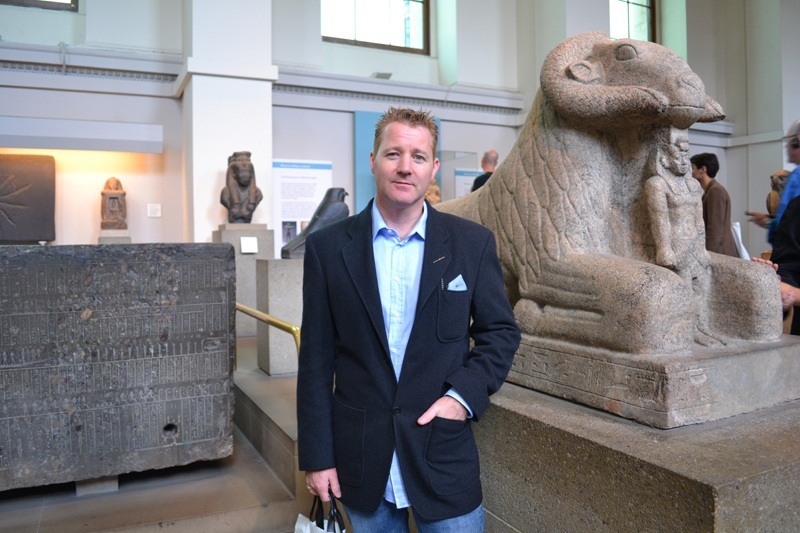 One of the good things about The British Museum is that you can handle some of the artifacts with staff supervision. 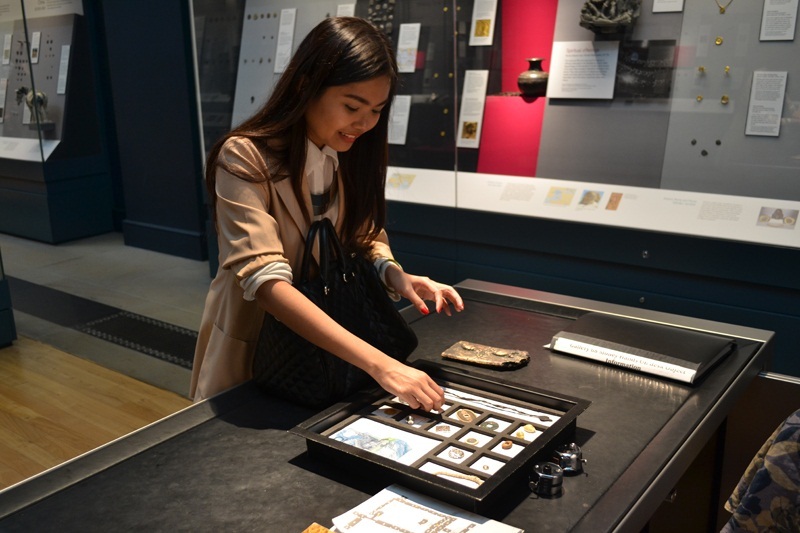 The above photo shows me handling an assortment of ancient currency and coinage. 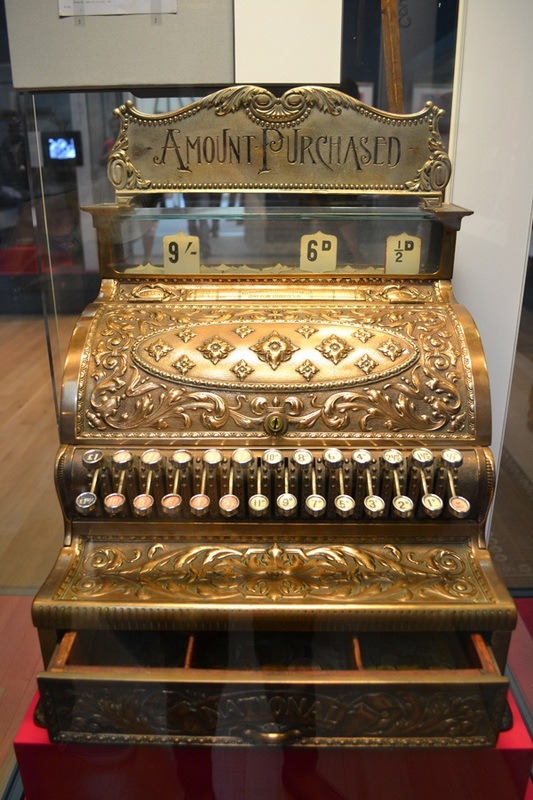 In the same gallery, they had on display this cash register commissioned by Tiffany & Co. 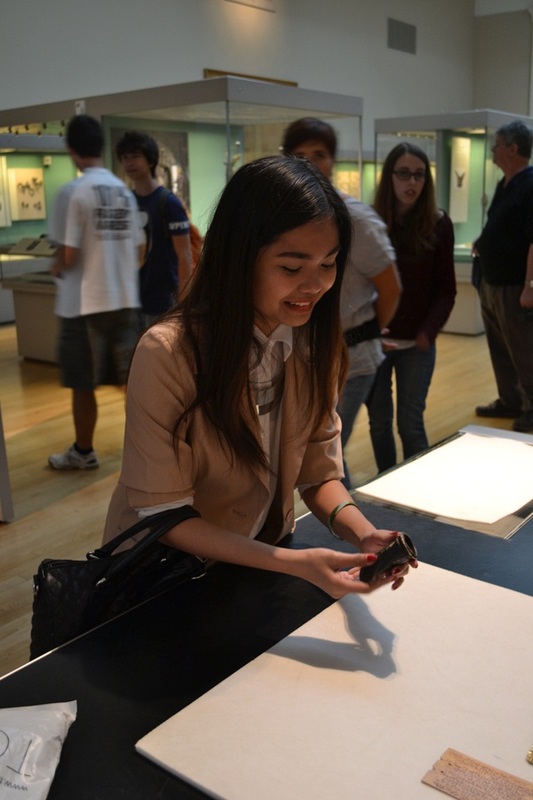 In this photo, I'm handling a bronze axe head circa 800 BC, the oldest thing I've ever touched. 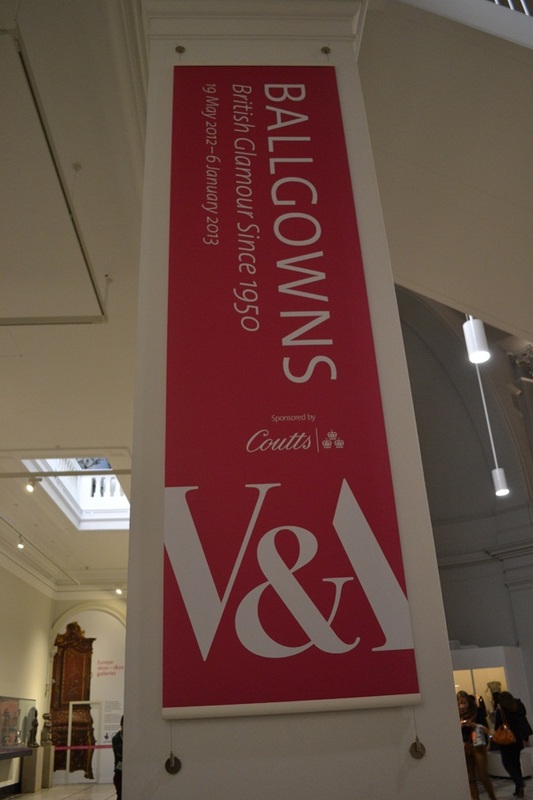 After lunch, we travelled to South Kensington and headed for The Victoria and Albert Museum. 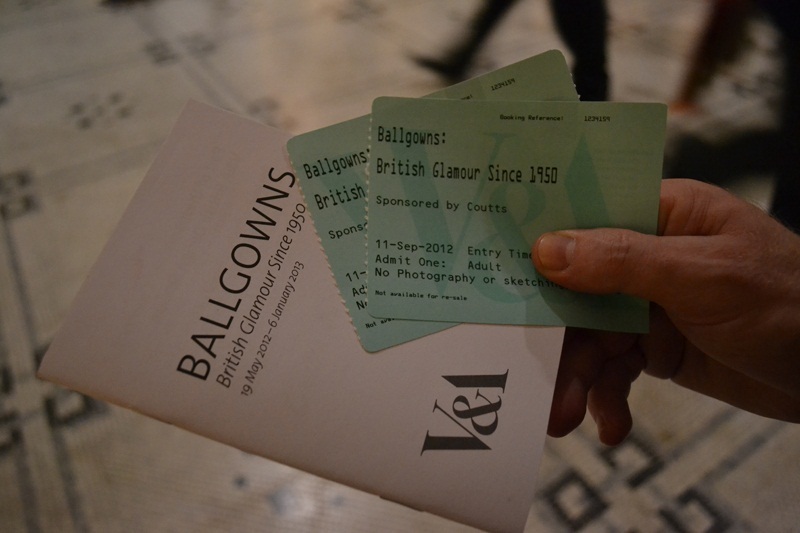 I was really excited for this because I wanted to see their special exhibition, "Ballgowns: British Glamour Since 1950." 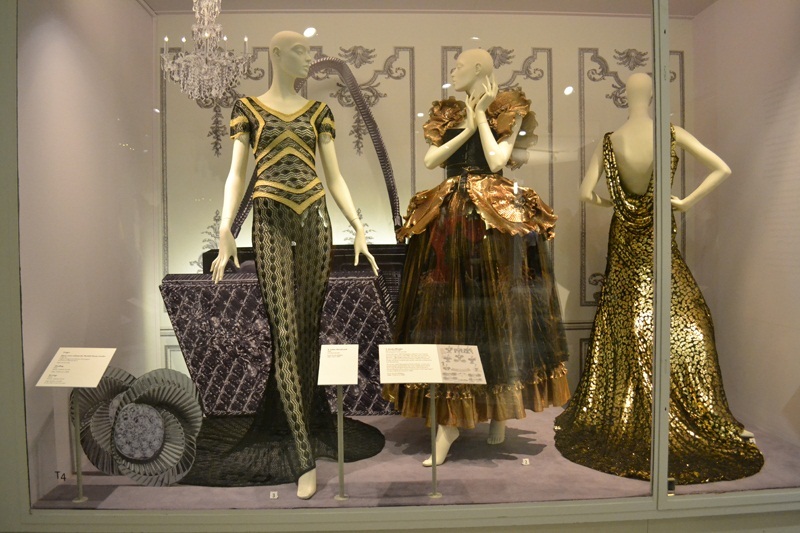 The V&A celebrated the opening of their newly renovated Fashion Galleries with an exhibition of beautiful ballgowns, red carpet evening dresses and catwalk showstoppers. 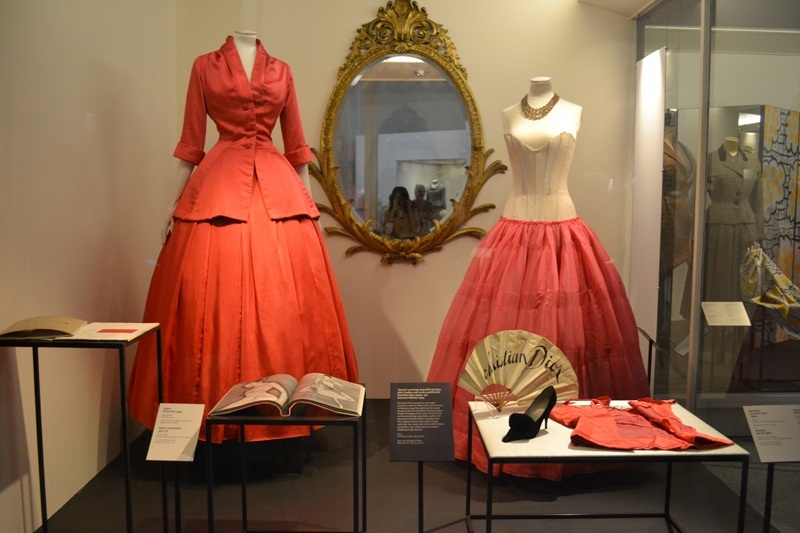 From debutantes and royalty to charity balls and the red carpet, Ballgowns charts 60 years of stylish evening wear. 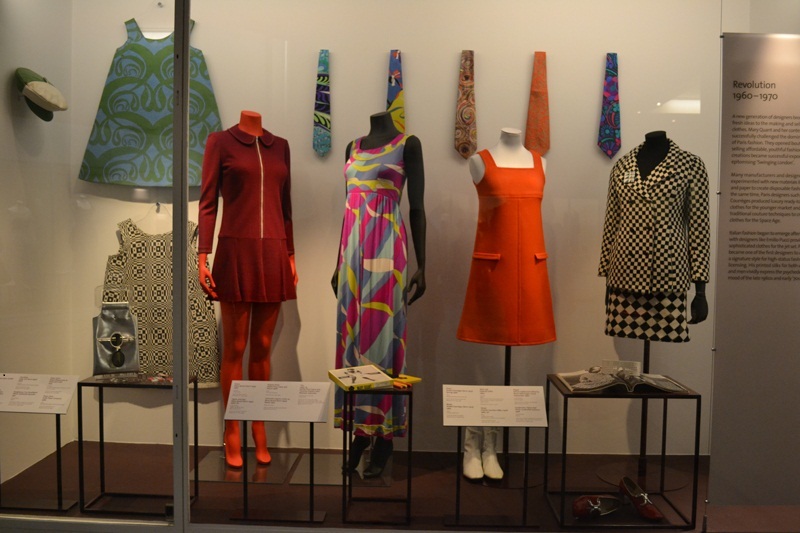 The timing of the exhibition was apt as it coincided with London Fashion Week 2012. 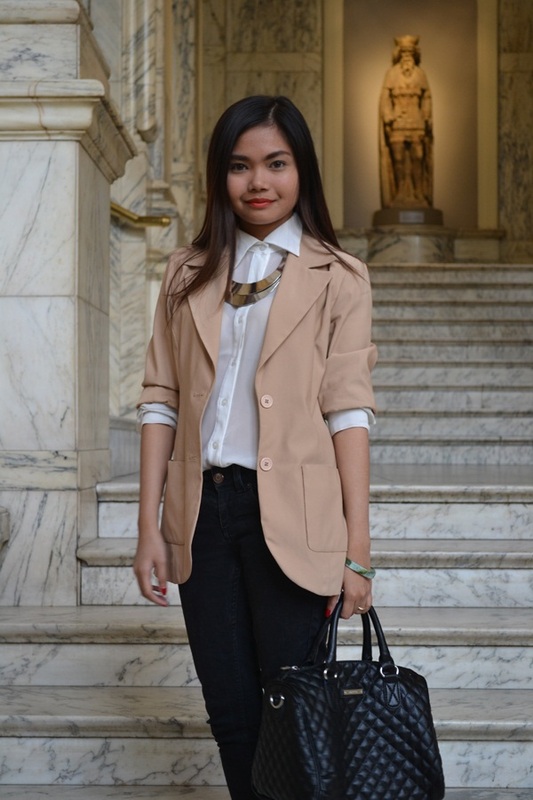 Chose to dress in neutrals so I wore my favorite black jeans from Topshop, a white sheer top and vintage camel blazer. eow pohwz. am excited for your HK pics poh. 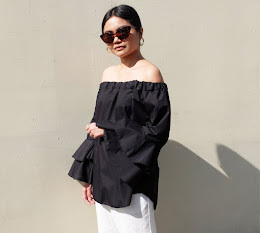 Love the vintage swimwear and love your outfit, Lex! Thanks for the virtual tour, too! @Vanessa: Hi, friend! I missed ya! @Chyrel: Lagi, nice kaayo ang swimwear noh.. :) I'm glad you like the virtual tour! Omygod what a lovely place!! It's a dream of mine to go to London. You're so lucky! !